Today is BFBN Pinterest day. 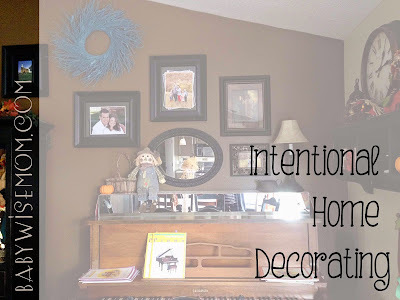 We thought it would be fun to talk about some of the intentional things we do in our homes to teach our children. 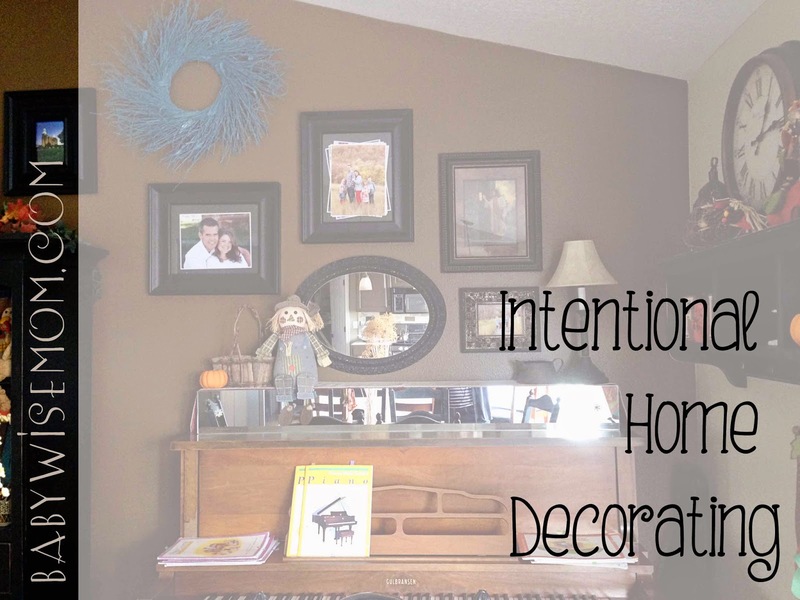 I decided to talk about intentional home decorating. 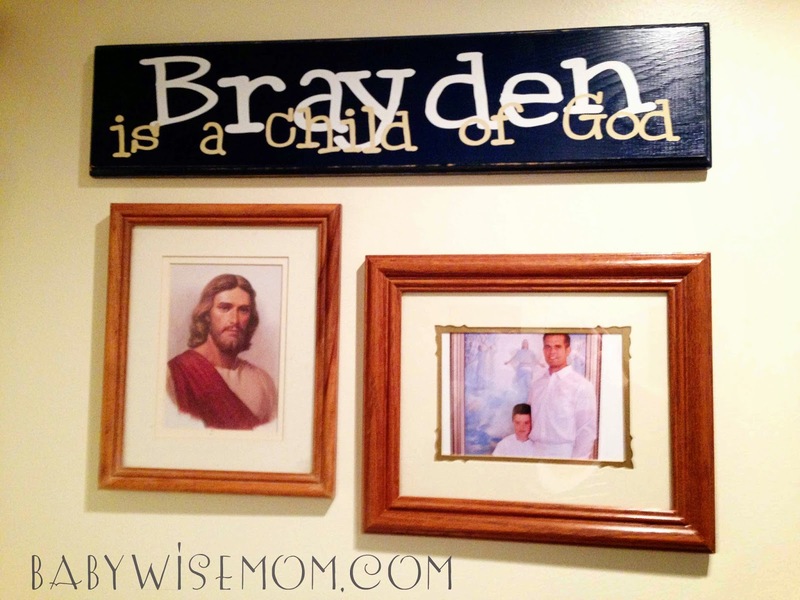 For me, the most important thing I do in my home with the intention of teaching my children is to put at least one picture of Jesus Christ in each room. 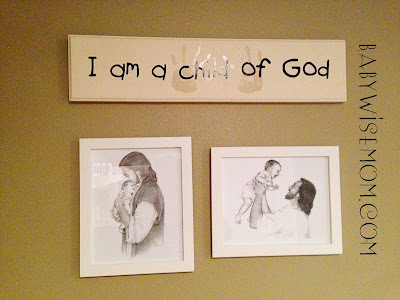 I am very intentional in my decorating and one thing I make sure to have in every room is a picture of Jesus Christ.I want Christ to be the center of our home. 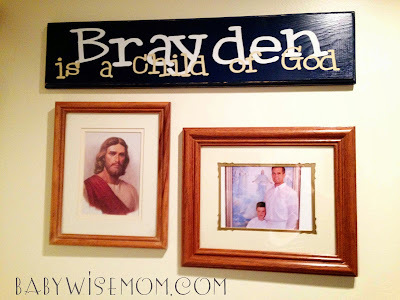 I believe it helps to have visual reminders in the home to go along with other teachings we do to teach our children of Christ. There are other things I do to be intentional about my decorating. For us, the LDS temple is a very important and symbolic structure. 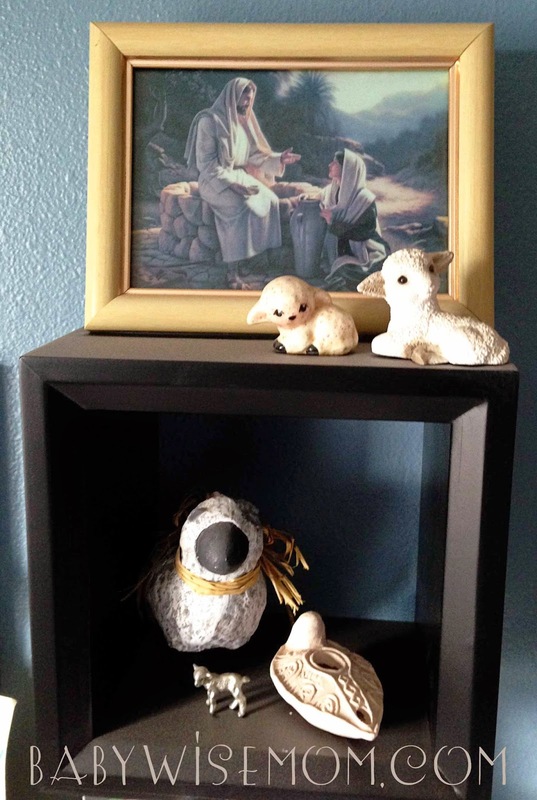 I have many pictures of temples in our home. I also have a picture of our family in every room. 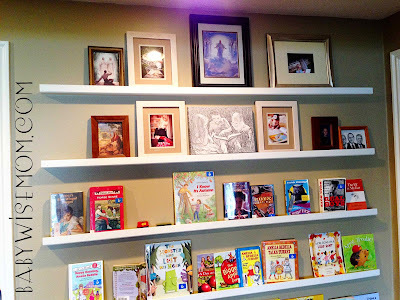 Family is another thing that is central to us and I like to show that it is prominent by what I focus on in decorating. and a photo of him and my husband together on his baptism day. as a shepherd. I have this woman at the well picture with my sheep and oil lamp (Parable of the 10 Virgins). along with a family photo and a picture of Christ. have photos of our children reading books. these same pictures in Brinley’s room. 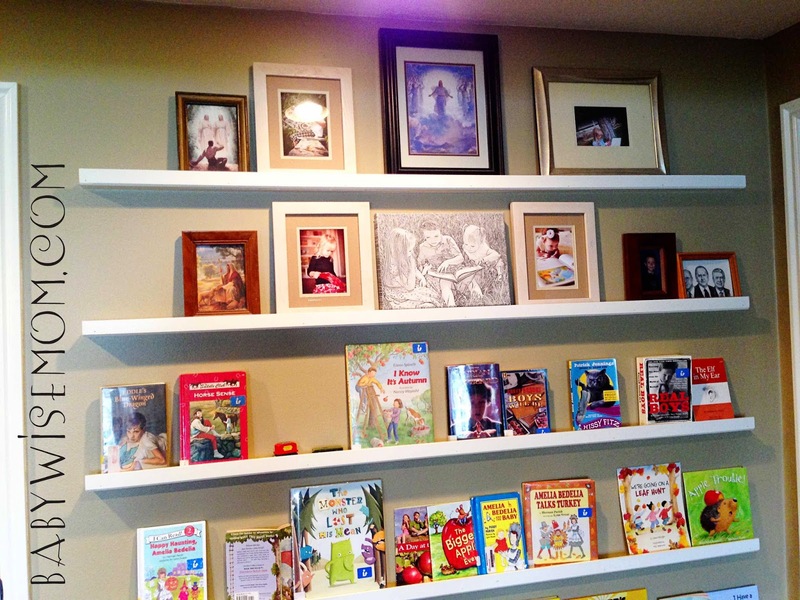 Of course, it isn’t enough to simply put pictures up in your home. Actions speak louder than words and much louder than pictures. 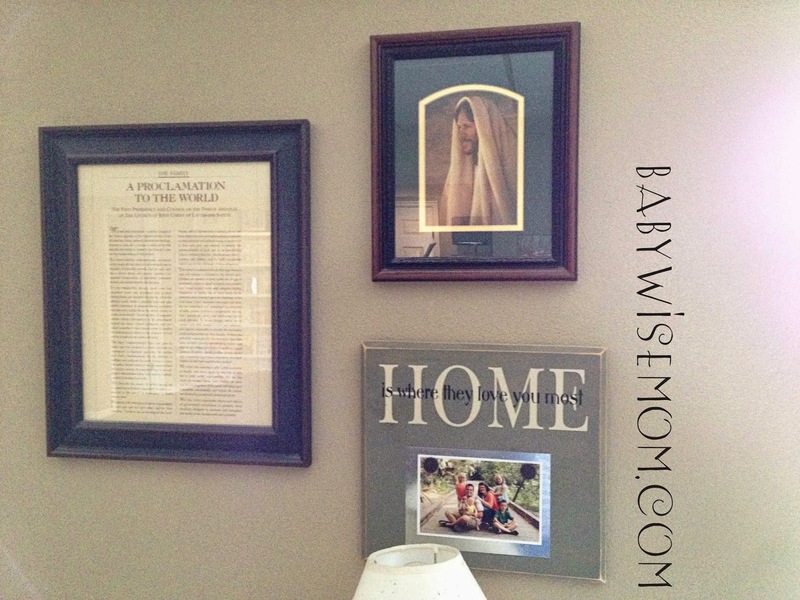 The pictures serve as a visual reminder of teachings we focus on daily in our home. Example reigns supreme. I hope that as my children see these pictures, it will help them remember the things they have been taught. What would Jesus do? I have some sayings on walls that I want to remind my children of important things. I love our house rules. My children actually read this quite often. I love having these “Be’s” by the front door. They pass it each time they leave the house. Be grateful, smart, clean, true, humble, prayerful, positive, involved, and still. Great reminders! I also have a clock in each room. This stems from me wanting to know what time it is at all times. I also love to have mirrors in every room. I like mirrors because they make spaces seem larger than they are. They add light to the room and give it the illusion of being more open. 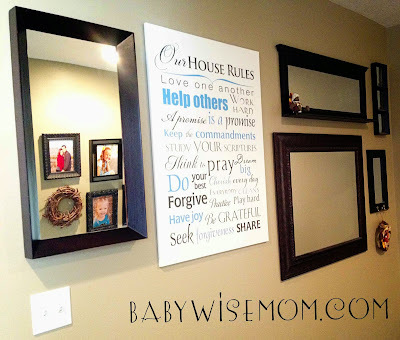 Be sure to check out the other blogs in the BFBN today to see what ideas they have for intentional home layout. Such sweet and homey decor! We also have a picture wall. It makes me happy! 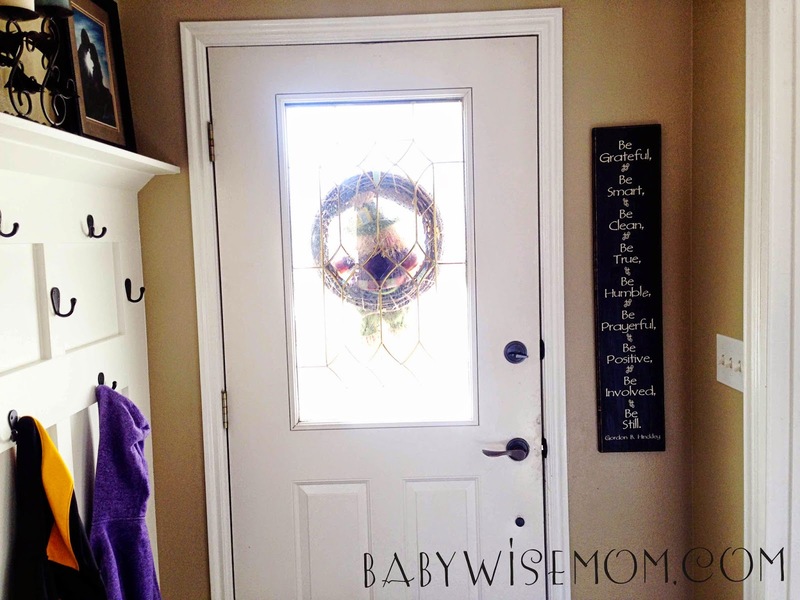 I think the kids love to see the home pretty and warm. It inspires pride in the home and they're willing to help pitch in on the deep cleaning and caring for the home! This post has really given me some food for thought. Thank you!